Party announcement! TONIGHT instead of the usual Tutorials & Tips link party, I thought it would be fun to link up your favorite post of the year. 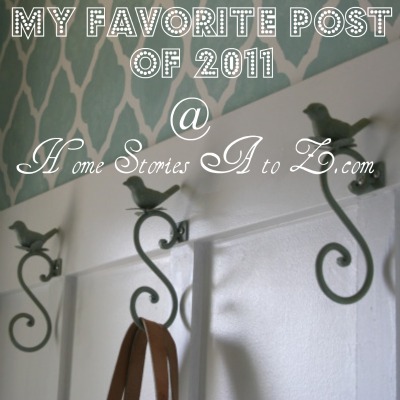 Just one favorite post! You can repost it as a new post or just link up an old post. See you tonight! I hope everyone had an enjoyable Christmas! 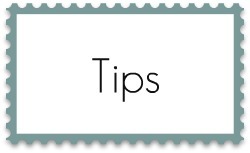 Here are the tutorials and tips that caught my eye this week. Enjoy! $7 DIY Tree Skirt by Ten-Sixty Bliss. Green & White Ruffled Tree Skirt by Renewed Upon a Dream. 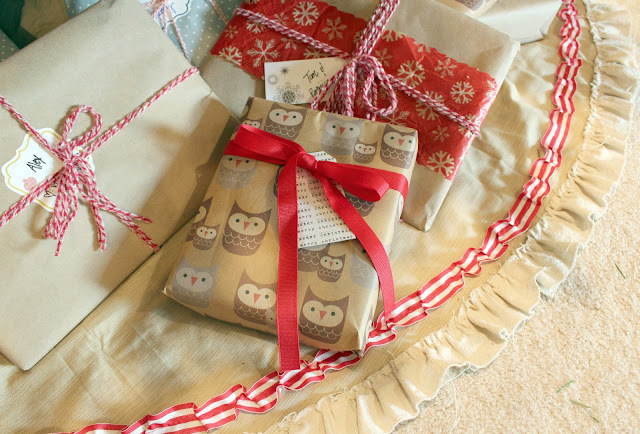 Sew Your Own Ruffled Tree Skirt by Only from Scratch. Driftwood Christmas Tree by The Space Between. Mittens Ribbon by Flamingo Toes. Ballard Designs Inspired Joyeux Noel Pillow by Confessions of a Plate Addict. Christmas Chipboard Art by View Along the Way. Faux Bois DIY Christmas Art by Just the Bee’s Knees. Outdoor Evening Christmas Dinner by Organizing Made Fun. Skis & Greens Winter Tablescape by Turnstyle Vogue. Make Your Own Mercury Glass by Art is Beauty. How to Take Glowing Pictures of Your Christmas Tree by Unskinny Boppy. Dollar Store Craft Shopping List by Desperate Houselife. Dresser Transformation by Five Days Five Ways. Thanks for featuring my lil art project! These features so inspiring. Excited to check ’em out! Merry Christmas to you and yours! 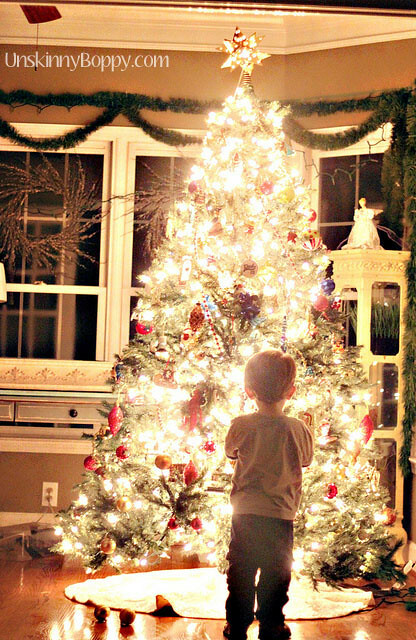 Thank you so much for including my decorated driftwood tree in your features! Such a festive group of features!